Boost your energy and knowledge in this journey of yoga discovery. Immerse yourself to Himalayan Hatha, Vinyasa, Kriya & Yin yoga and learn the science of meditation and pranayama, the yogic breath. Ask your questions about yoga & meditation, asanas & breath, and the benefits of yoga. The course is designed around your personal needs and aims to bring the knowledge for practicing yoga with awareness. It will also take you the next level of yoga experience. We will be discovering and practicing Sun Salutations sequence, looking into the depth of each posture. When ready, we will add more advanced asanas. In the end of the Programme you will understand each posture and will be able to practice yoga sequence with full awareness. 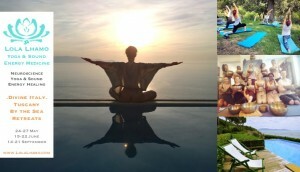 During the Yoga Intensive Programme we will be using the asanas from Himalayan Hatha, Vinyasa, Kriya & Yin Yoga. ~ Kriya Yoga – ancient Vedic knowledge passed through generations, science of breath and movement, focused on recharging the body with oxygen, slowing down the ageing process, rejuvenating the brain and spinal centres and transforming mind and body. ~ Active and Dynamic Hatha & Vinyasa Yoga for waking up body and spirit and revitalising the balance, the power and the beauty in the movement. Hatha is more Yang practice engaging muscles and keeping the postures for some time, while Vinyasa is more Yin dance, allowing free flow of creative energy within. ~ Restorative Yin Yoga for greater alignment of body and mind, releasing the tension and achieving the harmony with oneself. This yoga practice is based on knowledge of Chinese medicine – each posture targets specific meridians in the body, stimulating healthy energy flow through organs and body systems, bringing deep relaxation and balance. ~ Qi Gong – slow movements helping to connect with energy movements within ourselves and around us. ~ Accessing Akasha – universal library, which contains knowledge of past, presence and future, containing infinite opportunities. In state of deep meditation we will be accessing Akasha, asking our questions and receiving answers, which will help to rediscover soul purpose, connect to true self and realise our dream. ~ Neuropsychology – you will have some work to do, working on old patterns of thinking and behaviour which you would like to release, understanding true yourself, your aspirations and designing your future, preparing Creative Plan. This is also part of QUANTA Bio Energy Healing programme. There will be lectures and practical sessions on the ways to transform your life through understanding of science behind the brain work & the power of your mind, as taught by neuroscientists, and at the same time wonderfully corresponding to the sacred yogic texts of 2000 years old. You will learn ancient sacred energy practices which are easy to integrate to your life, to heal yourself and others.. Lola will be also sharing the science behind healing with the sound of your own voice and Himalayan Singing Bowls, how to activate immense energy healing potential within, how to transform your vibration and consciousness and transform your life..
HEALING YOGA & SOUND Intensive programme participation is flexible, choose your own schedule – Lola Lhamo teaches lunch-break and afternoon classes every day. Groups are max 6-8 persons to allow individual attention to every participant. The cost of the Programme during lunch break (Voucher of 10 classes*45min) is 99Euro. One drop-in class is 10Euro. Evening 1.5 class is 15 Euro. 10 classes 140 Euro. If you prefer one-to-one sessions, feel free to contact me and book the best time for you. The cost of 1.5h is 70Euro. Studio is located at Palazzo Altieri in the centre of Rome, with wonderful terrace and views over Rome. Confirm your attendance by simple email – we have just 6-8 places available. please, fill in the form below and I will contact you with further details.